What's remained consistent throughout your entire WoW career? What’s remained consistent throughout your entire WoW career? I’ve been playing a Shadow Priest for… well, a very long time. Long enough that the class looks almost nothing like what it did when I first started — heck, long enough that it looks almost nothing like it was several years after I started. But in that time, I can think of one thing that has frustrated me in the exact same way, for the exact same reasons: being interrupted in PVP. See, Shadow Priests are in a somewhat unique position where being interrupted during one of our casts means being locked out of pretty much all of our spells. If you’re locked out of the Shadow spell school, you’re locked out of basically anything you could do to be useful. Sure, at various points in Shadow’s lifespan, we’ve had Holy spells like Smite or Holy Fire to use in a pinch — but even those took you out of Shadowform which, at the time, meant taking more damage (and also needing to waste a GCD to go back into Shadowform). The closest we’ve come to having a backup for being locked out of Shadow is when we had Mind Spike, which was classified as “Shadowfrost” damage. However, outside of my personal experiences where it still got locked out anyhow, even when you could cast it while locked out of Shadow, it still wiped all your DOTs. Not exactly the backup plan a DOT-based class wants to resort to. The fact that most (all?) other DPS casters have a “backup” magic school has only added to my frustration. Granted, I think times have changed slightly, but my point remains — I’ve never not been beyond incredibly annoyed about getting locked out of Shadow spells in PVP. I hate it. I feel helpless. The addition of more and more interrupts has not helped anything, either. If one* constant exists in all my time playing WoW, it’s the frustration of how Shadow has no backup spell school. What about you? 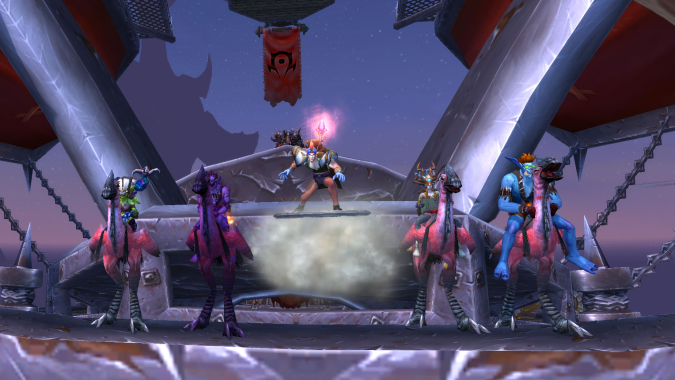 Has anything remained constant in your WoW adventures? It doesn’t have to be negative, mind you — anything that’s stayed the same. Sound off below! *Resto Druids in PVP are a very close second.